Most boring old indie rockers are partied out from last week’s celebrations for the 10th anniversary of Radiohead’s cerebral gesamtkunstwerk, OK Computer. (Ed. 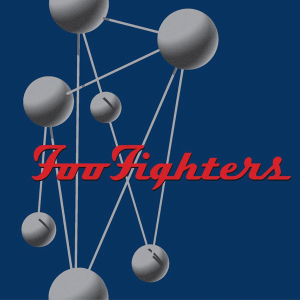 : BEST ALBUM EVAR) I, however, eagerly awaited July 10, as this marked the 10th anniversary of a more often overlooked alt-rock landmark, the Foo Fighters’ The Colour and the Shape. On Colour, rock auteur Dave Grohl (credited for almost all of the album’s instrumental work, with some assistance from Pat Smear) mightily emerges from the shadows of his former band, producing a heavy rock record with a scope far beyond its peers and with no obvious stylistic predecessors. The album ricochetes between little vignettes (“Doll,” “Up In Arms,” “See You”), breakneck rockers (“Monkey Wrench,” “Enough Space,” “Wind Up”), urgent epics (“Hey, Johnny Park!,” “My Hero,” “Everlong”), and pleading ballads (“February Stars,” “Walking after You”), resulting in a masterwork that Grohl would not attempt – let alone succeed – equaling. Colour was a towering success in nearly all measures; critics adored it, fans embraced it, MTV practically used it as their soundtrack for years. “Everlong” in particular is well beyond the realm of hit single; it is a cultural icon, a standard of the alternative canon, a beach bonfire singalong. Listening to Colour now, even despite its production and mix firmly rooted in the mid-90s style that made it so radio-friendly at the time, the album maintains an impressive freshness. Chalk it up to Grohl’s contagious energy; the drums, guitars and vocals ring with an unhinged love of making loud and melodic music.